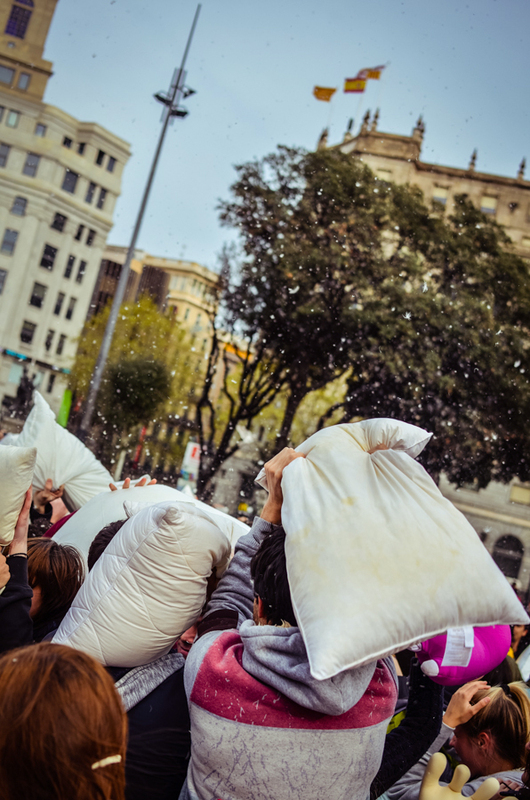 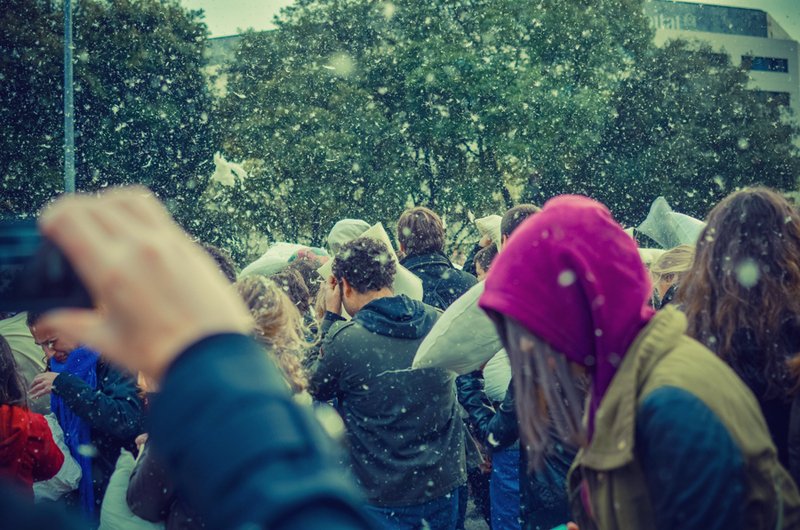 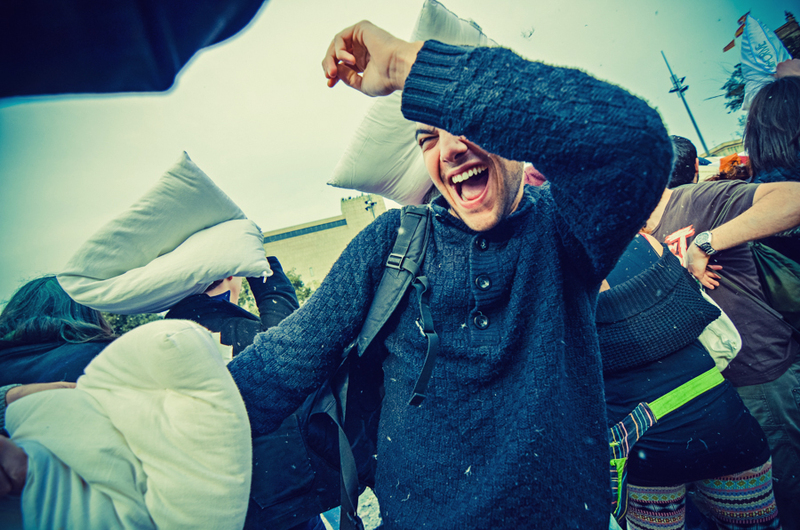 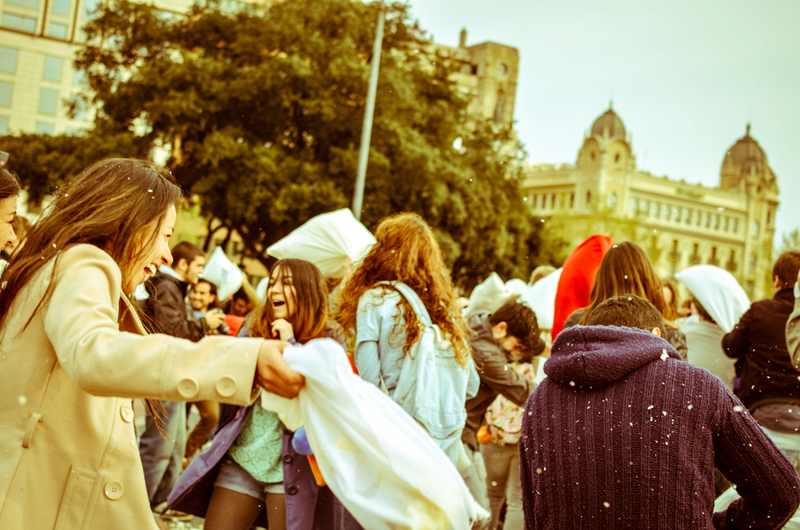 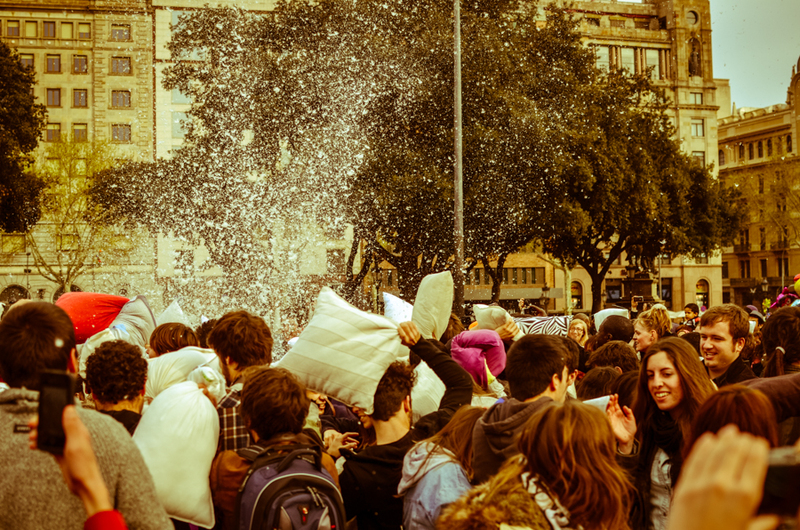 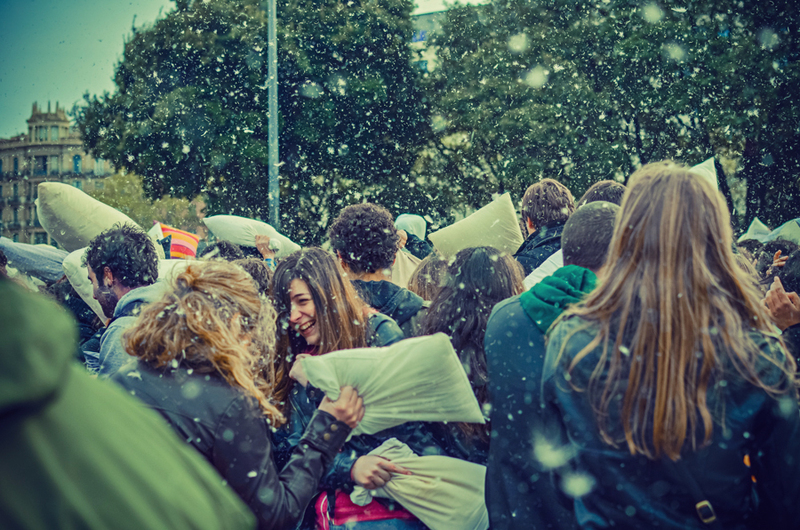 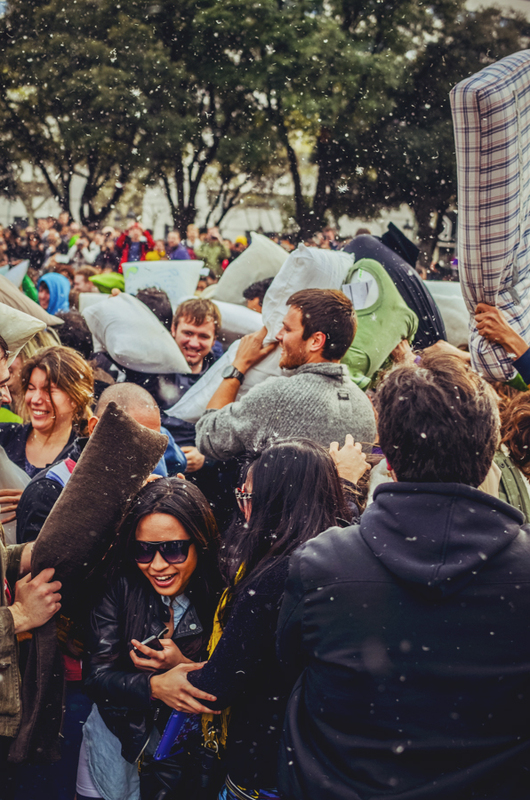 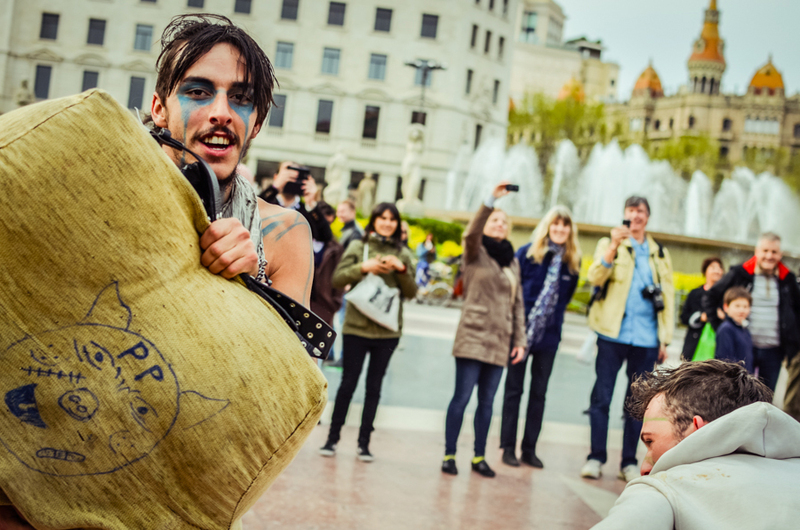 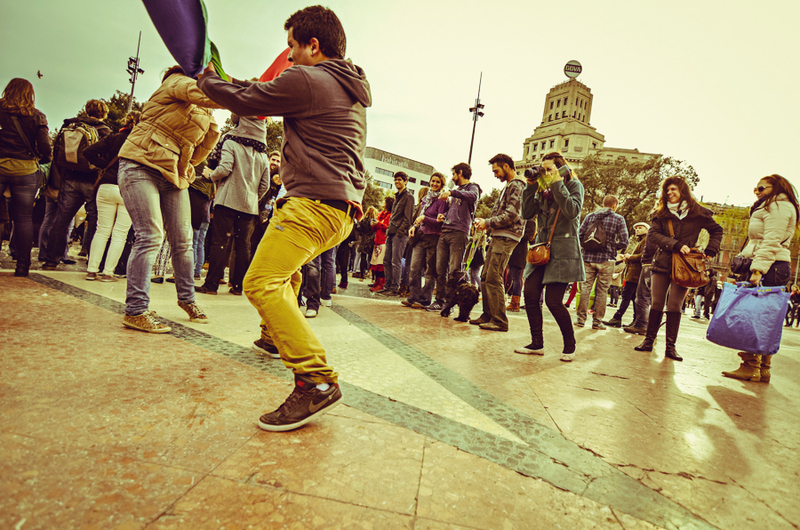 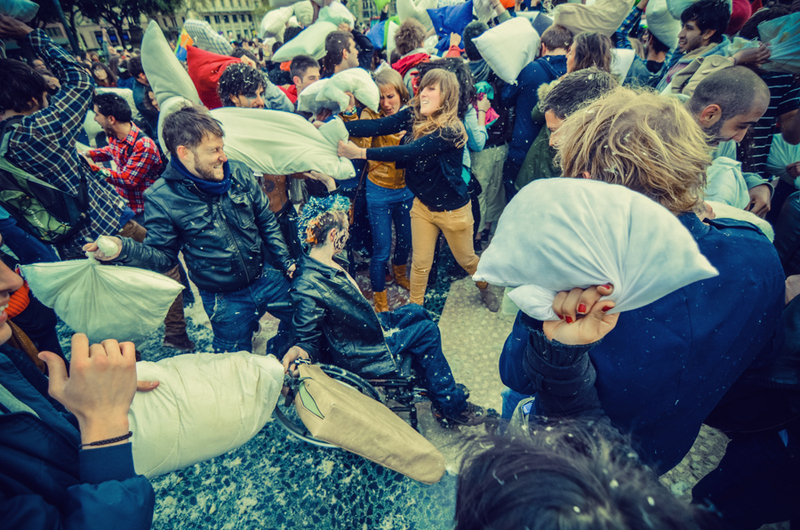 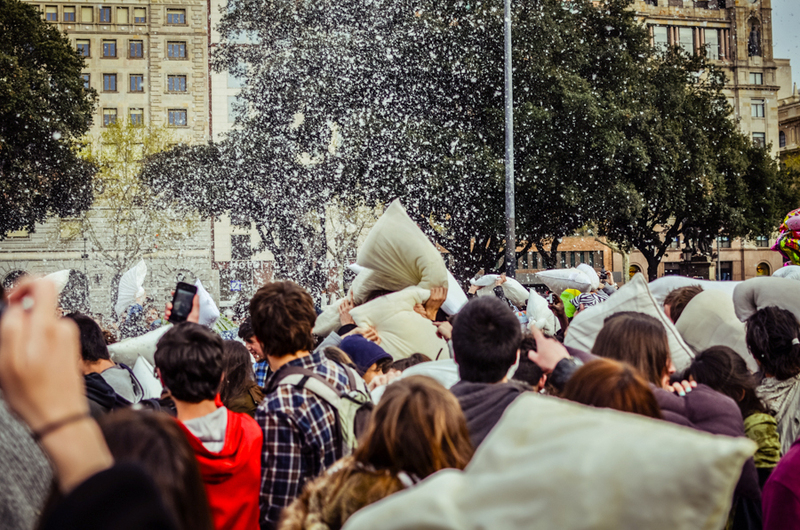 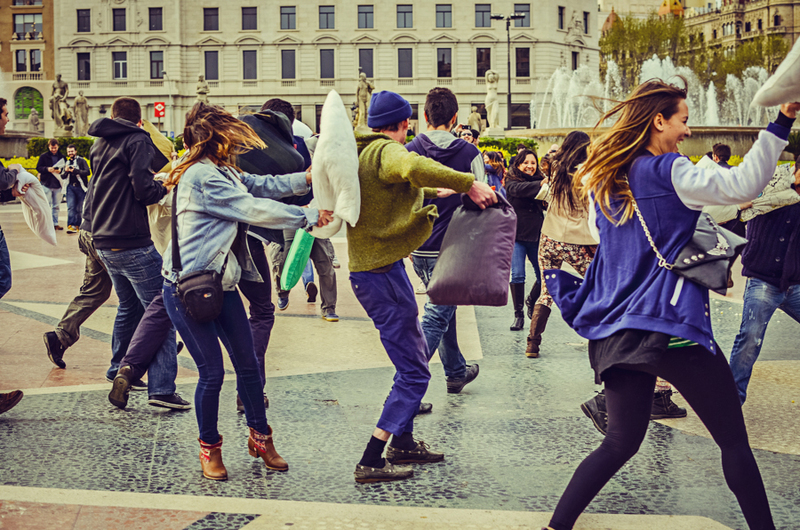 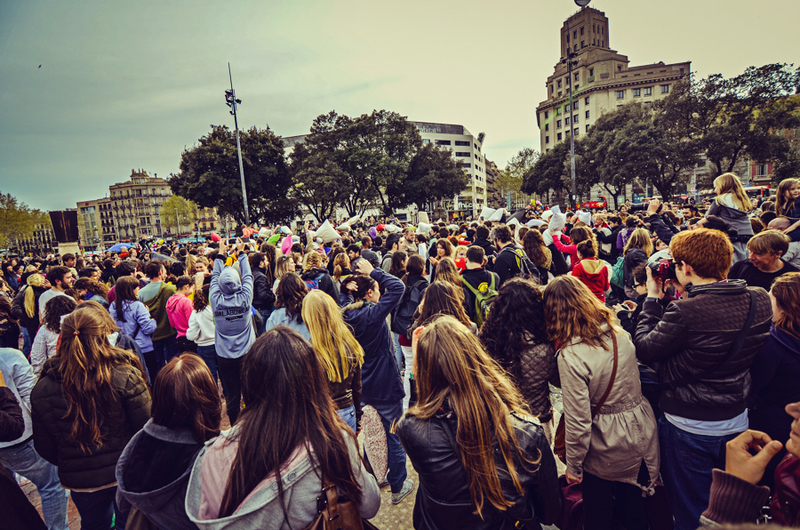 “THIS IS MADNESS, THIS IS BCN PILLOW FIGHT 2013″. 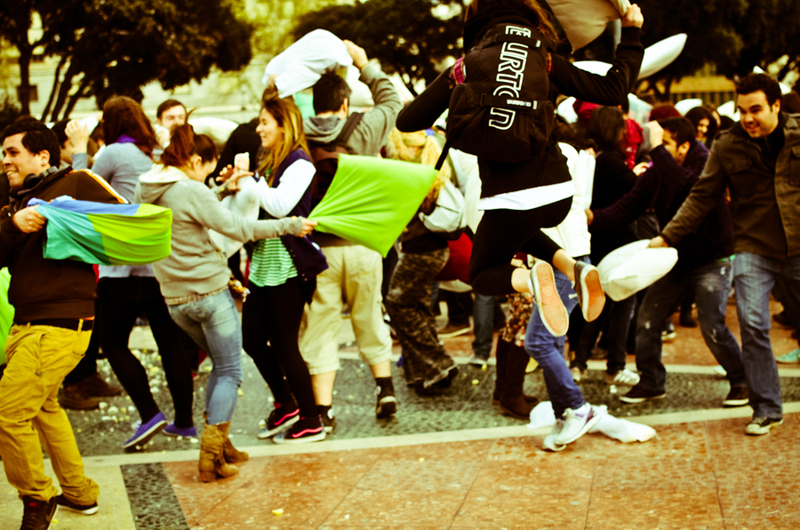 Complete craziness but so MUCH FUN!!!!! 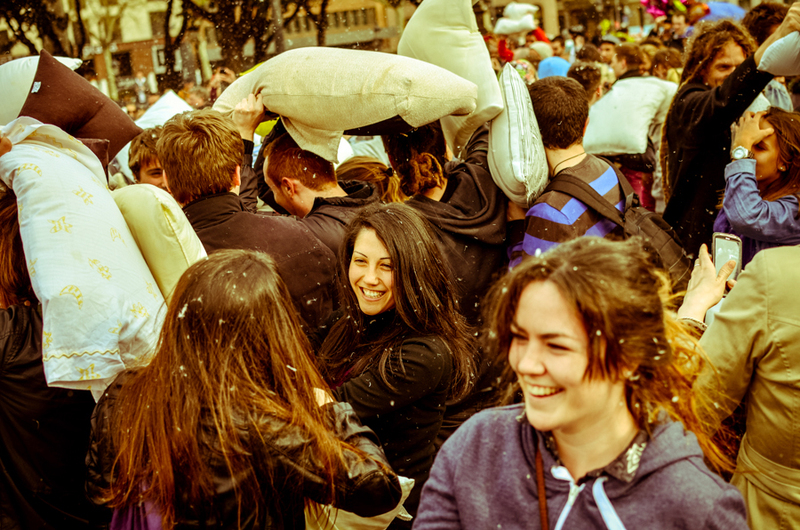 I had just finished teaching a photography class and heard about the pillow fight event so I thought it would be cool to take a few photos. 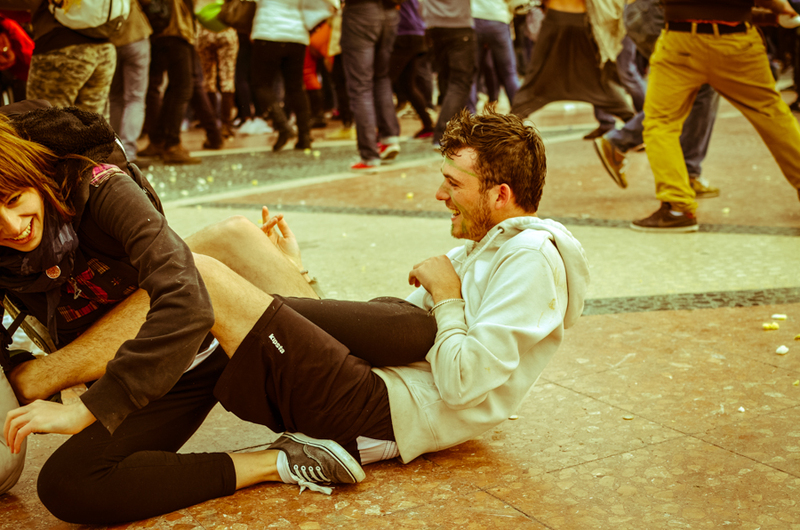 As we turned up, there were only a few people around so we were unsure whether it was going to be any good or not. 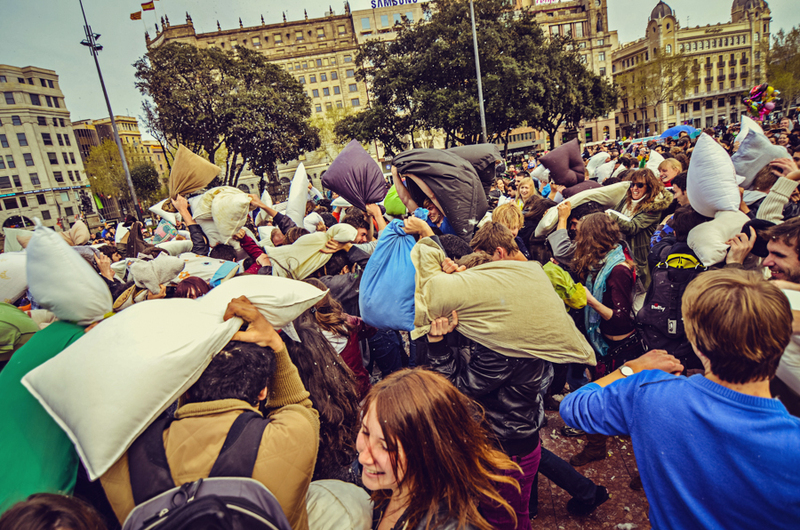 Everything seemed pretty peaceful and boring with a few guys snoozing here and there, so I thought oh well … then a loud horn blew behind me and all hell broke lose!! 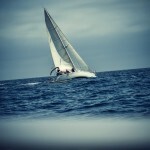 Loved every moment of it, till the last feather!